On the Admin sidebar, click Content. After that, under Design, click Configuration. Choose the store view that you want to configure, click Edit. In Other Settings section, open Heading tab. Click Upload on the right of Logo image, then choose the logo image as you wish. Don’t forget to edit the Welcome Text. After complete, click Save Config. Logo Attribute Width Store View The width of the logo image, measured in pixel units. Logo Attribute Height Store View The height of the logo image, measured in pixel units. Welcome Text Store View The welcome message of your store displays in the header and includes the name of logged in customers. Logo Image Alt Store View The Alt text of the logo. 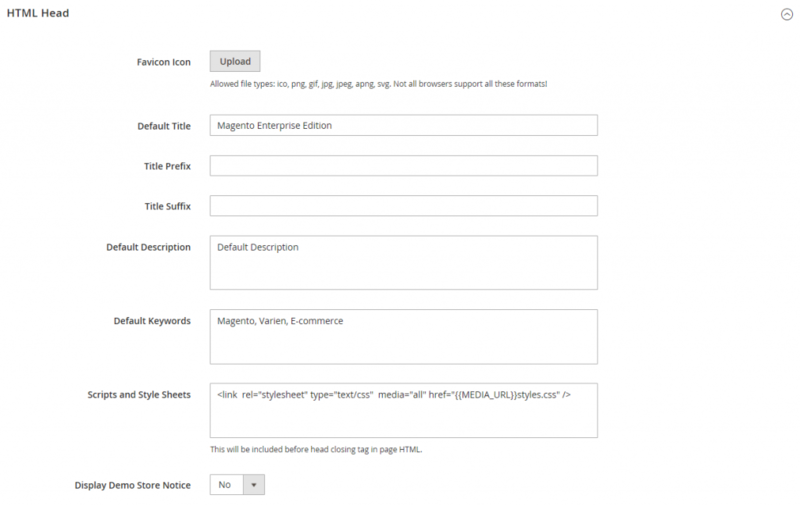 Above is a tutorial on how to configure the Header in Magento 2 Page Setup backend. We hope that you can customize a perfect Header for your online store. If you have any question, feel free to leave a comment. In the next tutorial article, we will show you how to configure Footer in Magento 2 Page Setup. Don’t forget to subscribe Mageguides to read more Magento 2 tutorial article.